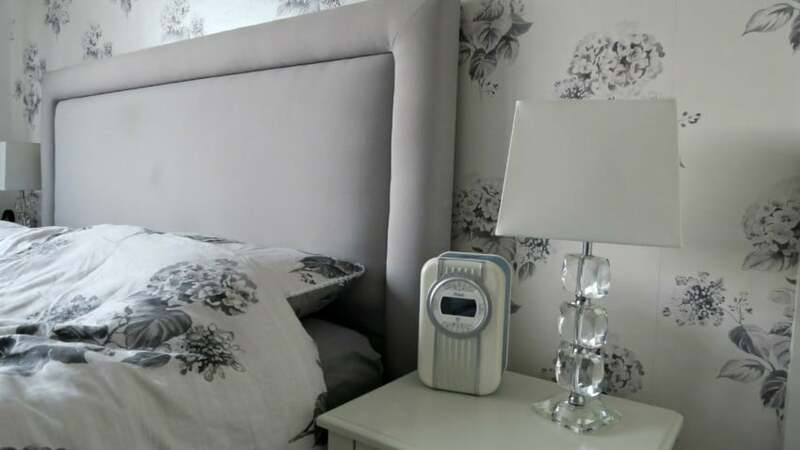 I have been on the look out for a stylish radio and alarm clock for my bedroom for ages, but I love my bedroom and haven’t found anything that suited. My bedroom has a very simple colour scheme, white, grey and glass. So trying to find something that worked well was really hard, they were all ugly, black or just not very pretty! Included in the box was the Christie Radio, power adapter, instructions, and a replacement 2 pin plug for changing over for use in different countries. You can also add batteries, to make this more portable. 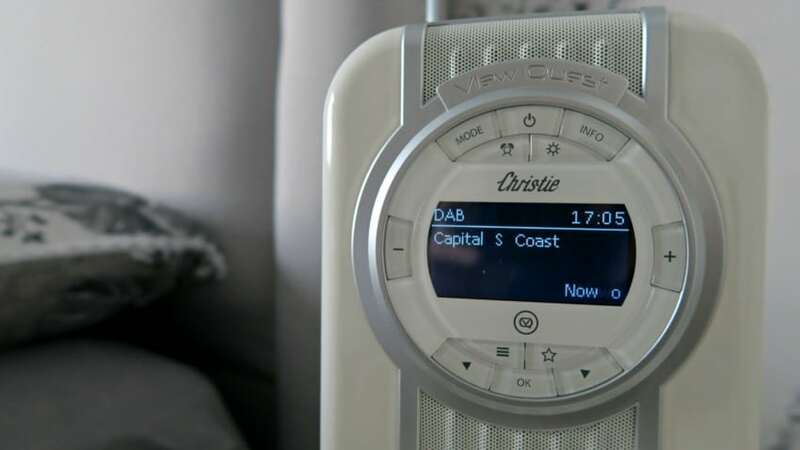 What really stood out for me on the Christie Radio was the NFC connection and Bluetooth to connect my smart devices. We use Spotify all the time to listen to our music and being able to listen to it in my bedroom was really appealing. All you have to do it set the mode to Bluetooth, once paired you just start up Spotify and it connects. I love it! If you don’t want to use the Bluetooth you also have more traditional cable connections of a 3.5mm aux-in, 3.5mm headphone jack and USB charging port. 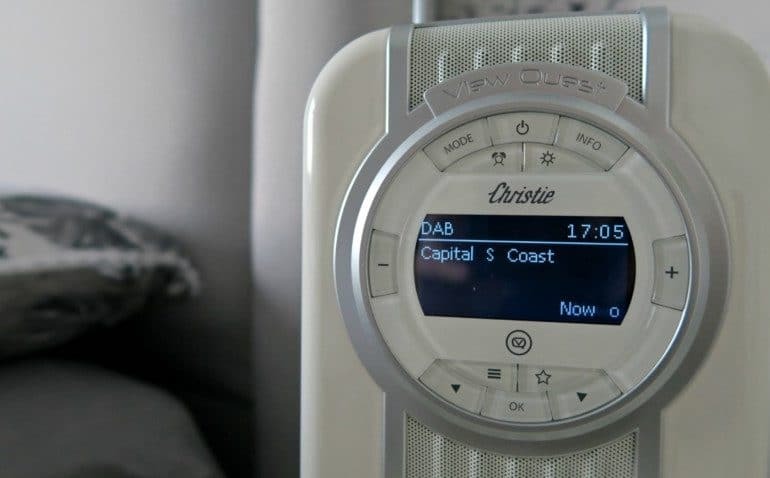 The Christie Radio features a DAB, DAB+ and FM Radio reception, so this gives you a great range of stations across the UK and Europe. With a compact extendable aerial that fits in nicely at the back of the radio. The reception is so clear, and when using the auto searching setting it finds the stations well. I loved the preset function, and being able to program in your favorite stations to get to easily. Another very useful function on the Christie Radio is the lifestyle alarm. You are able to set 2 alarms, which can be set for daily, week, weekend and with various different setting, and you can use the beep or radio. This is a great addition, as it means I can get rid of my bedside alarm clock. When the Christie Radio is set on standby you have a nice clock light on the front, and if your like me and hate having bright lights in the room, you can dim the lights right down, or right up if you prefer it bright! The sound quality is amazing, and I did wonder how good it would be as it was so small, however I was not disappointed at all. 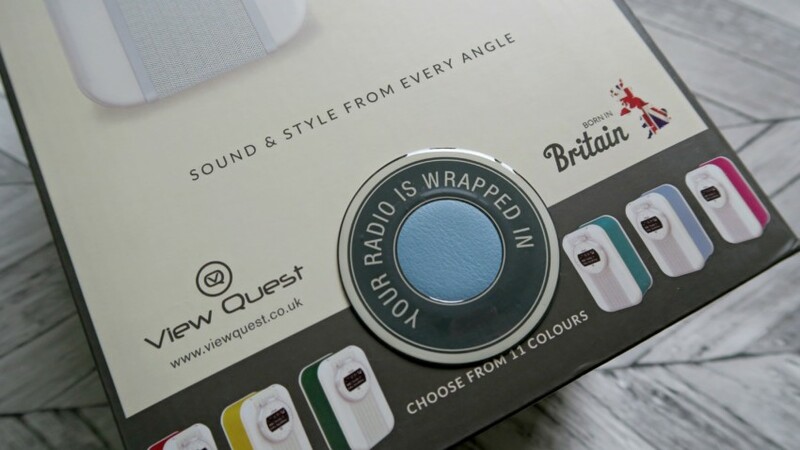 You are able to turn it right up loud and it doesn’t lose it quality, and my only fault with the Christie Radio is that you cannot turn it down to a quiet enough volume. Sometimes you just want a bit of music in the background, and I did feel that the lowest sound was a little too loud for that. 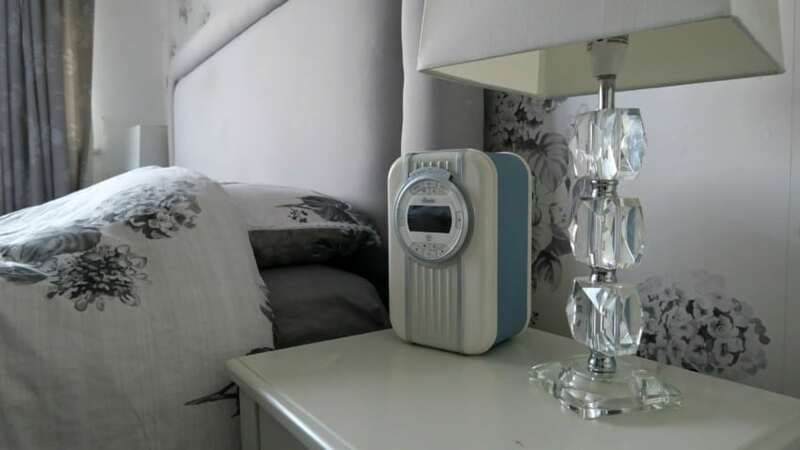 I am really pleased with the Christie Radio, and I think it looks so stylish in my bedroom, and now I can listen so some music in my bedroom whilst getting ready to go out, reading a book or just chilling. Also great waking up to music! 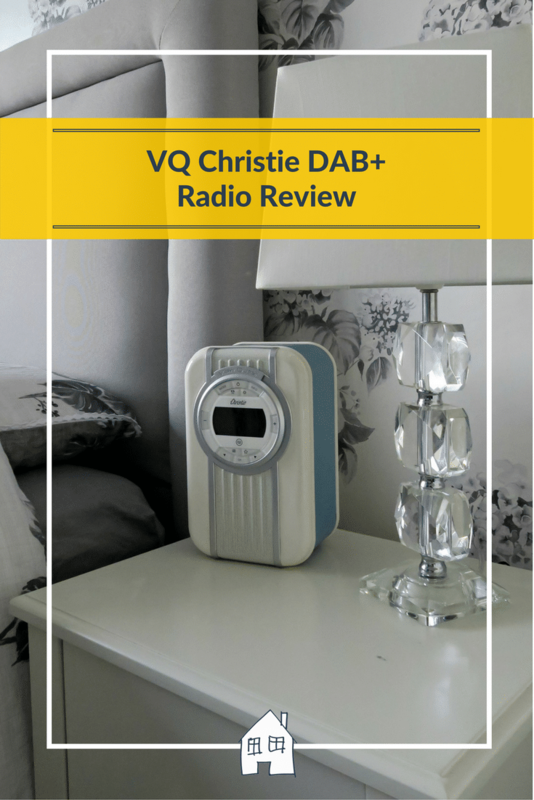 The VQ Christie Radio is priced at £129.99, which I think is a good price for a premium product which performs well and looks amazing! That’s gorgeous! 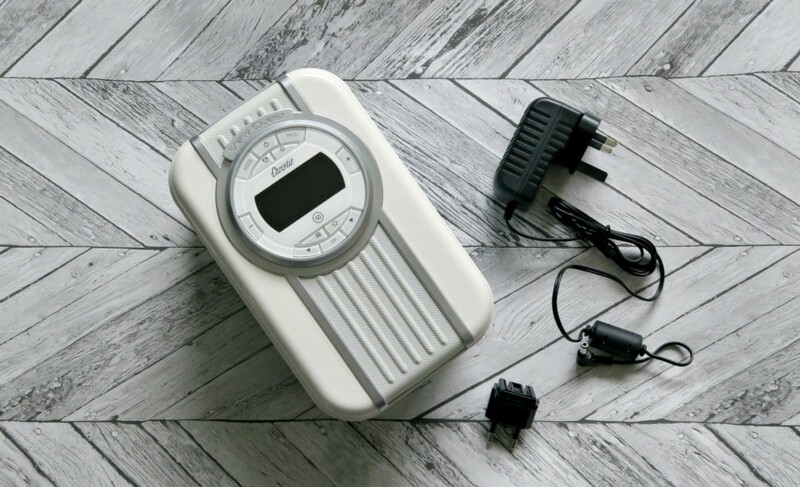 I had a radio alarm clock for years when I was younger but have relied on my phone for quite some time now – I’d love to go back to a proper radio alarm clock to enable me to leave my phone downstairs of an evening. I would love one in my room – Glad you like it hun. That looks class. It goes really well with your bedroom. I like the Bluetooth function on it. We have an old school radio. Doesn’t this gadget just fit perfectly with your decor. Really like the design, it’s so retro! 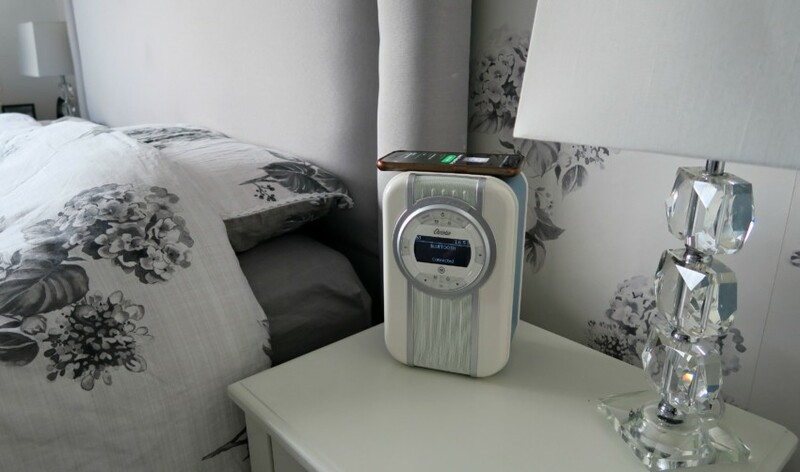 VQ make great radios, I love mine (a Hepburn) but this model looks (and sounds) perfect in your lovely bedroom. Love your video review too, and what a fab discount offer from Christy! I’ve got one of these and I agree with everything you said! Even the quiet volume issue!